What’s going on with beer leagues that warrants subsequent review via surveillance tape? How do you know when a beer league is out of control? Effective immediately, we will be strictly clamping down on any Diving or Embellishing. 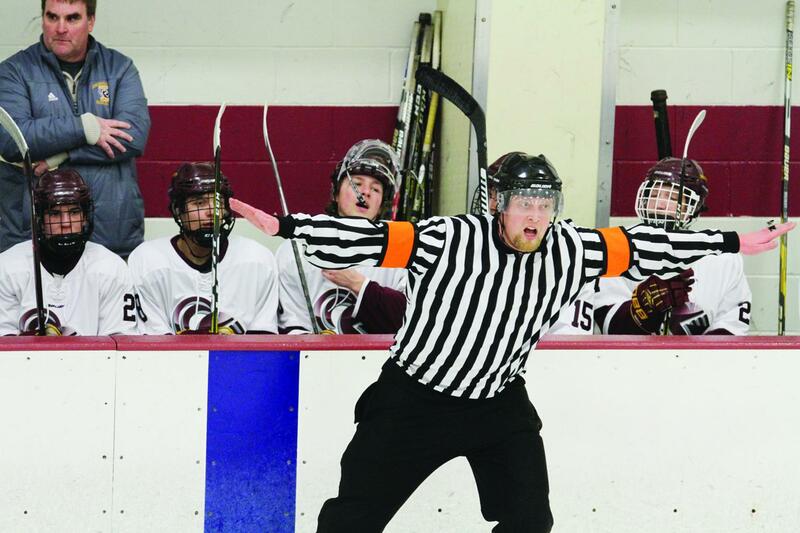 If any player is thought to have dived or embellished to attempt to draw a penalty, the officials are being instructed to give 10-minute misconducts for first occurrences in the game and Game Misconducts for second occurrence in the same game. If a captain thinks that a diving or embellishment call was missed by the on-ice officials in the game, then the captain of the opposing team can contact the league supervisor after the completion of the game to file a complaint for review on surveillance tape. If a penalty was warranted, a game suspension shall be imposed for each occurrence. Come on! Has it actually gotten to this? Sure, USA Hockey ought to have an embellishment rule. And the league supervisor is right to address this. The issue, though, is what’s going on with beer leagues that warrants subsequent review via surveillance tape? I mean, closed circuit video is supposed to be there for security. Terrorism. Criminal conduct. But embellishment in a low-level men’s game? Yup, this is what the veteran Level 3 has to deal with. Butcher league goons taking a “D” level game so seriously that they dive and flop like hooked snappers just to draw a penalty while the rest of the city is sleeping and preparing for another day at the office. Yeah, the same guys that think a low-level adult game is akin to the Calder Cup semi-finals. The same lunatics that try to blackball veteran referees from doing their games when the truth is these “players” should be paying double-time just for the privilege of having a veteran zebra babysitting them after 10:30 p.m.
Perspective, people. Don’t push it. I mean, the league is being overly-generous just to provide a venue for you players to hone your bending skills. And now you expect the poor director to waste valuable minutes reviewing surveillance video? Look, if replay is so important, then why not ask the league to provide behind-the-net cameras so the officials can review every shot that hits the bottom of the cross-bar to ensure it didn’t cross the line. I mean, you guys were AHL prospects, right? It’s really bad that this stuff is taking over recreational hockey. But stay optimistic you poor veteran Level 3 men’s league officials. You can still wash out icings while the scorekeeper takes off a few seconds here and there. You’re done in 60 minutes or less. Job over. Meanwhile, let society deal with the consequences of dysfunctional parenting courtesy of these very same beer leaguers. Questions and comments can be sent to editor@letsplayhockey.com, via Twitter @OSpeaking or through the Let’s Play Hockey Facebook page. A shaving or two of civility somehow still exists in our game.